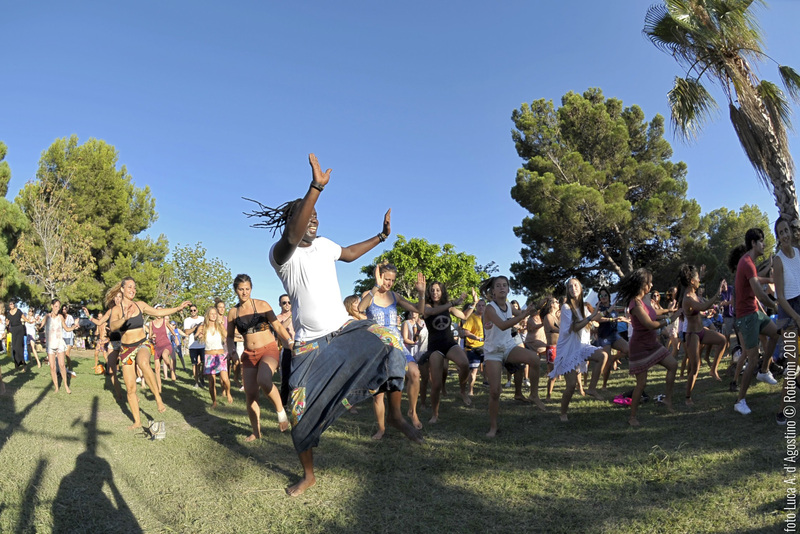 Africa takes the floor this summer in Benicàssim (Spain). For seven days, the history, cultures and the voices that make the continent vibrate will guide the frenetic activity in African Village. Little Africa emerges, once again, at the Rototom Sunsplash concert venue, which will celebrate its 25th edition August 16 to 22 beside the Mediterranean. Africa is on of musical roots of reggae, the genre around which the international event revolves. These strong ties make the presence of this area necessary, indeed it has become an unavoidable meeting point for those who visit the festival. With its own stage, beyond the music it is a space for debate, learning and artistic expression, dance, discovery, fun, consciousness and commitment to strip the arguments behind the stereotypes that still bedevil Africa and African society. The daytime programming will start every day in Abha (House of the Word in Guinean). From 16:00 to 18:00, talks and debates on various subjects have been programmed in close collaboration with the Afro-descendant collective United Minds. The Spanish-Guinean journalist Lucía Mbomio (Aquí la Tierra of TVE) will discuss how to speak of culture from the experience of the Afro-descendant collective. She will do so in the talk Culture in Resistance (August 17). Mbomio will also participate in the round table References. Life Stories, which will take place on August 18, with the MP, from the Podemos party, Rita Bosaho, of Guinean origin; the Senegalese YouTuber Tiambou Laye; and the one known as the griot of the 21st century César Brandon, writer, poet and winner of Spanish television’s Got Talent. Feminism from the perspective of black women will share their dual struggle in the demand for equal rights. It will take place on Sunday 19 and will feature the voices of Ángela Nzambi, writer and coordinator of the Spanish Commission for Refugee Aid (CEAR) Valencia; the LGTBI specialist Esther Makoyo and the dancer Makady DHQ. The Senegalese writer and activist Mamadou Dia will present the project Def’Art Jotna implemented in Gandiol, in the north of the country on August 20 in Abha. It represents a laboratory for community development and citizen participation to empower the younger population through tools such as their own radio station or a film school. 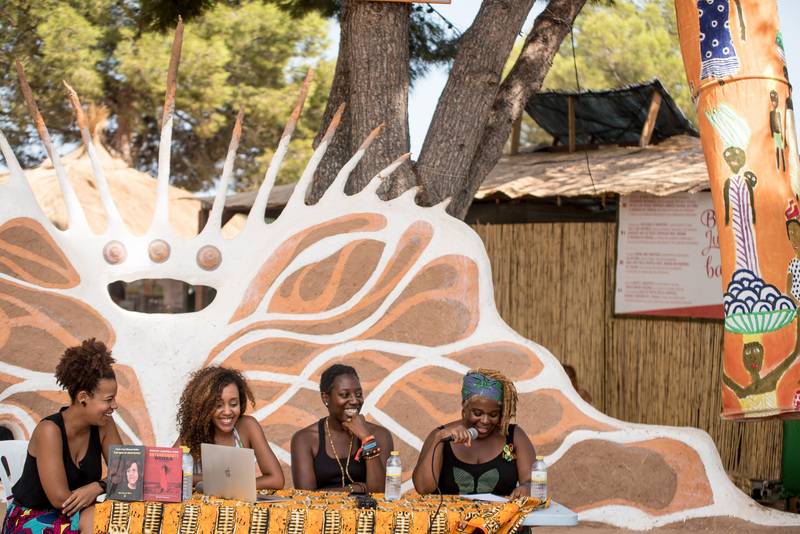 The last day of the festival, on the 22nd, will be dedicated to the projects present in African Village, promoted by collectives such as United Minds, the Popular Union of Street Vendors in Barcelona, ​​Afro-conscience Space, Bissap, Africa Adoolu, Diomcoop and the social travel agency Tamalatravel. Fashion as an engine of change will focus on another of the week’s most anticipated events. On August 21, strutting their stuff on the catwalk of the African Village will be of two of the projects linked to the Top manta: Diomcoop with the Diambaar brand and the aforementioned union from Barcelona with its Top Manta brand. Bissap, the traditional African fashion tailor shop in Valencia, will join them. The Ethiopian social circus company Fekat Circus, on Thursday the 16th, will inaugurate the sunsets in African Village, reserved for all sorts of African dance forms: from traditional to the contemporary dance. The first to follow will be Ali Thioune from Senegal with his proposal of workshops steeped in traditional African dance tradition that will take place on the 17th and 20th of August. And on the 18th and 21st the public will be able to immerse themselves in modern Afro dances –new to this 2018 programme- taking the lead will be collective African Women Dancers Crew, created especially for this edition. The collective is made up of Makady DHQ -Dancehall champion of the Iberian Peninsula in 2013-, Flora Sáenz -professor of urban dance and with training in disciplines ranging from hip-hop to dancehall and Afrobeat- and the renowned choreographer Indee Styla. African Women Dancers Crew will also set the pace for the evenings of the most African stage in the venue: African Stage, with six concerts lined up, offering a musical trip through Senegal, Niger, Cameroon and Cuba that will be opened by the six musicians of the Nigerian formation Studio Shap Shap (Friday 17) with its fusion of traditional rhythms and electronic, word and song. The Thioune Brothers (Senegal), the only professional African performing arts company based in Spain, will take over on Saturday the 18th and a day later, on the 19th, the Elephant Tiny Obsession quartet (Cameroon, Cuba) will bring to Rototom Sunsplash their urban sound with influences from blues, funk and jazz that figures in Fire Love, their first album. African Village will also witness the recent return to the stage of the Senegalese singer Khady Seck (Monday 20); and on the 21st it will welcome Nino Galissa from Guinea Bissau, with a new album, Kabaku, that links the most traditional African music with the most contemporary rhythms with the production of the Cuban musician Kumar Sublevao-Beat, special guest for this show. The latter will close the African Stage line-up (August 22) presenting Afrikun, his new album. From dusk to dawn, there will be the sessions of the multi-faceted Sr. Lobezno (Thursday 16), a bench mark on the Spanish black music scene with sets full of energy, will set pace; DJ Douds (August 17) and the eclecticism that marks his Senegalese roots together with European sounds; and the collective Ashanti!, with Dj Day B, Dj Douds and Dj Baba Sy and their party mix of dancehall-afrobeat that is one hundred per cent danceable. DJ Vera G. Moumie (Cameroon-Spain) and their combination of African sounds such as Makossa, Sokous, Congolese rumba or Angolan kuduro present in their new project, N’Zinga; and the couple of selectors DJ Golfo de Guinea, tireless seekers of African-American sounds, together with the Colombian Lady Avocado.